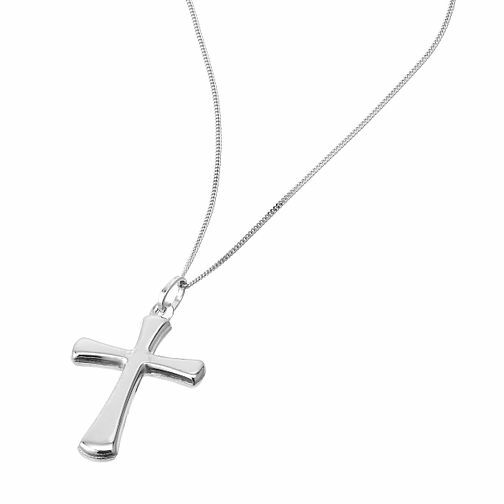 Keep it chic and simple with this modern 9ct white gold cross. Perfect for everyday elegance. 9ct White Gold Cross Pendant is rated 4.2 out of 5 by 6. Rated 5 out of 5 by Anonymous from Excellent purchase I am very happy with this. However, the chain is very thin. Rated 5 out of 5 by Anonymous from Simple and elegant The cross is beautiful but the chain is very fine. I wouldn't trust it, so I bought a thicker chain - which cost more than the cross!